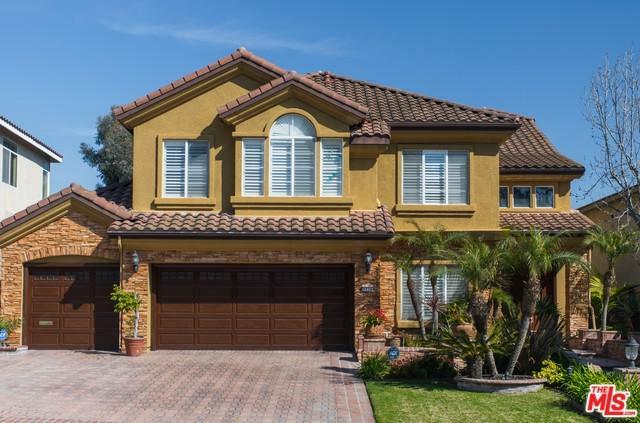 Prestigious Ladera Heights executive home - high on the hill with canyon views with 5 bedrooms and 3 bathrooms. Custom Mahogany doors welcome you as you enter this sumptuous sanctuary. 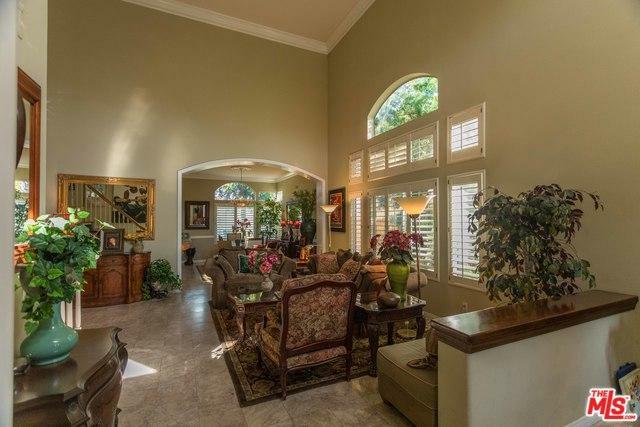 Soaring ceilings throughout, heated marble floors and luxurious mahogany wood floors. Inviting living room flows to formal dining room. The open concept gourmet kitchen has a large marble island, double ovens and Viking six burner stove! Warm family room with beautiful beamed ceiling and fireplace. 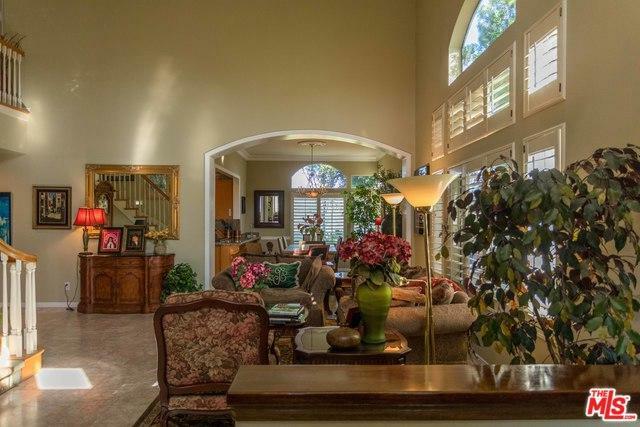 A circular staircase leads to 4 bedrooms upstairs. There is one bedroom down perfect for extended family living. The Master suite features a sitting area, spacious bedroom, gas fireplace and Grecian inspired bathroom with steam shower and spa bathtub. Tree-lined backyard with canyon views and beautiful spa and waterfall. Three car garage. No expense spared in creation of the masterpiece. 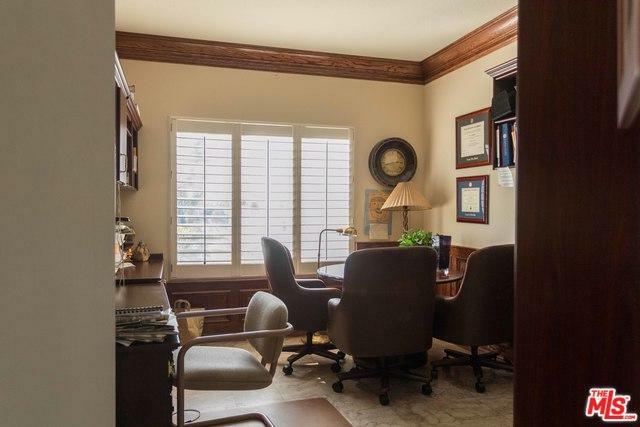 Listing provided courtesy of Carla Lowe of Coldwell Banker Residential Brokerage.